Happy Masters Week, friends! This week is basically a national holiday at our house, and we find a way to celebrate each year. Whether you're going to the tournament in Augusta, Georgia or hosting your own watch party at home, I have tons of suggestions for you (click the links in the text above to learn more!). 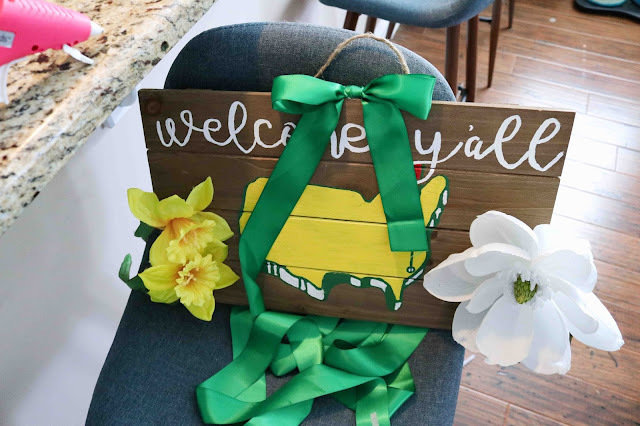 This year, we won't be going to the golf tournament, so I decided to make a little sign to welcome friends in who are coming over to watch the coverage on tv. 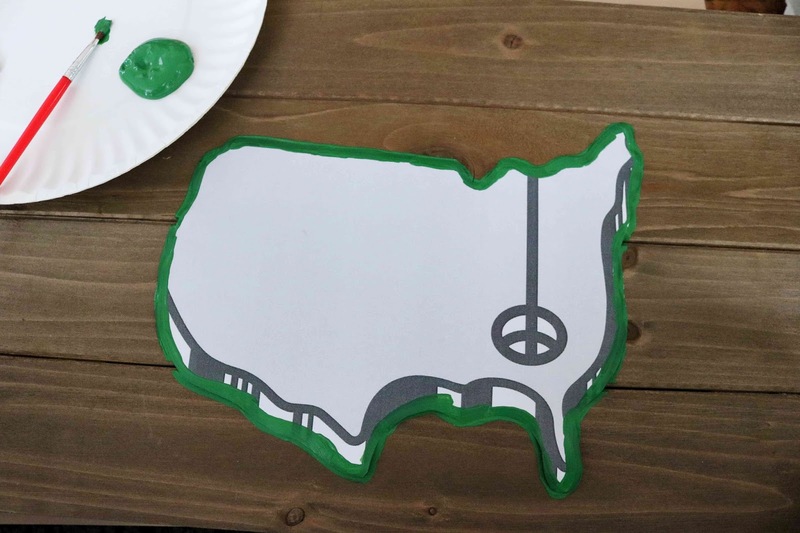 Obviously, I had to use the famous logo, but I changed it up a little, putting the flag and hole over Charleston (where we live) instead of Augusta. 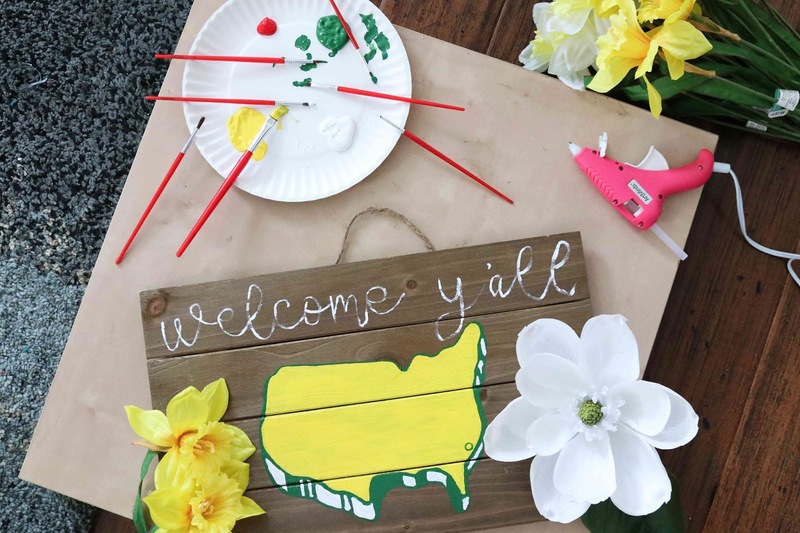 One of my absolute favorite things about visiting Augusta National (or even watching it on tv) are all the bright flowers, so I made sure to incorporate some of those into my sign, as well as the famous colors! 1. 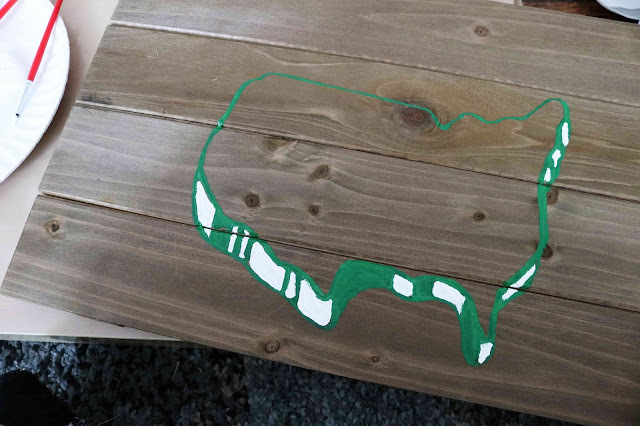 Start by placing your USA outline on the wooden sign and tracing it with green paint. 2. 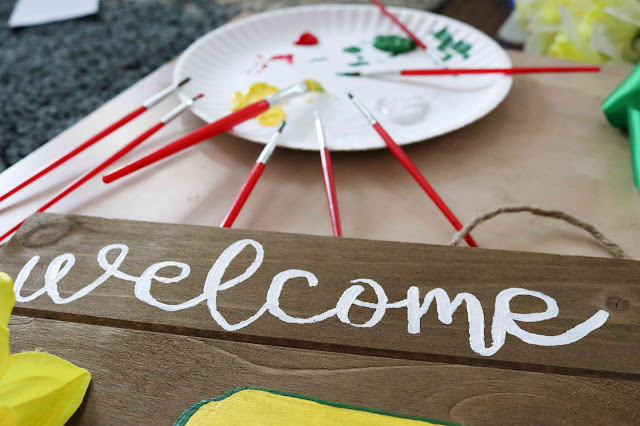 Make the outline pop off the page by adding 3D depth with white and green paints around the outline. 3. 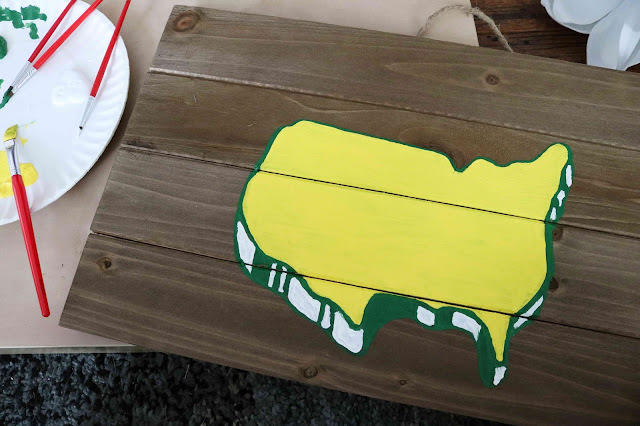 Fill in the USA with yellow paint. 4. Remove the flowers from their stems. This is usually really easy to do with silk flowers, and they will pop right off. If they don't remove easily, you can cut the flowers right at their stems. 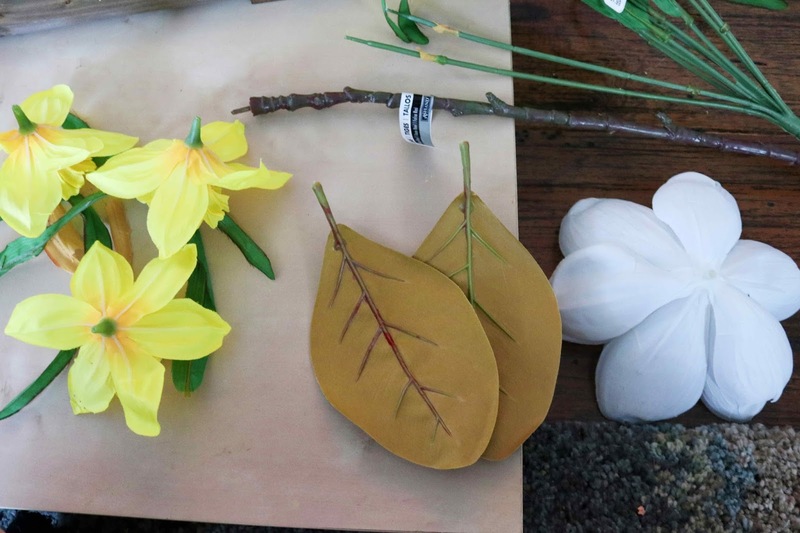 In addition to the flowers, also cut a couple of leaves from each stem to use. 5. 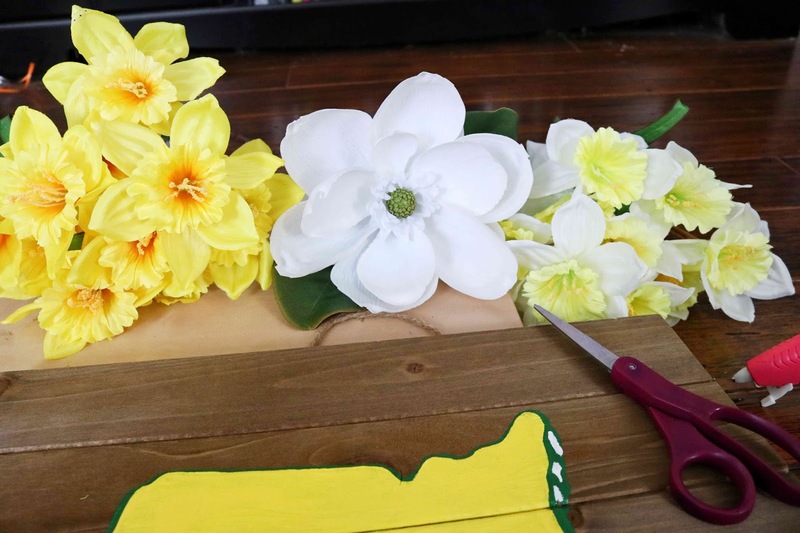 Hot glue the flowers to the sign and add a few leaves to make the flowers look more life-like. 6. 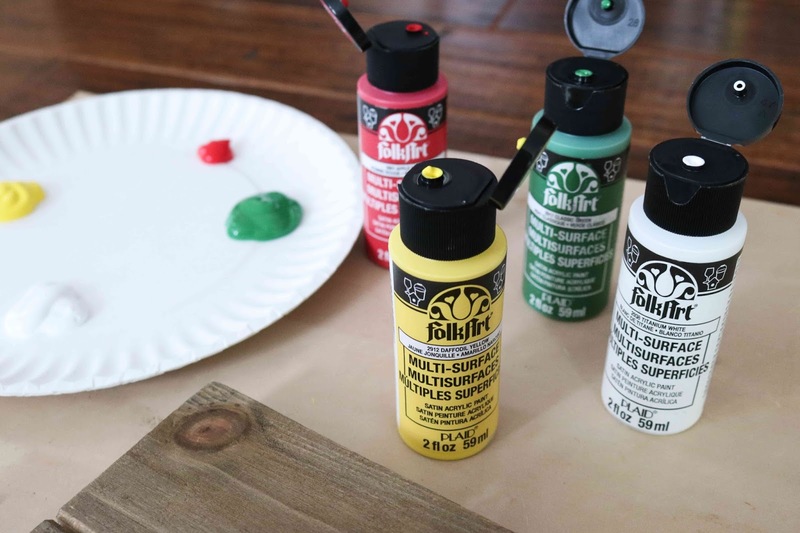 Paint your saying at the top of the sign. I chose "welcome y'all," but other options are: "happy spring," your home's longitude and latitude coordinates, or simply "hello!" 7. Tie the green ribbon into a bow on the top hanger. I hot glued the ribbon down so that it wouldn't move or come untied. 8. Spray all the paint with a sealer and allow to dry for 24 hours before hanging outside your home! This is such a cute DIY! 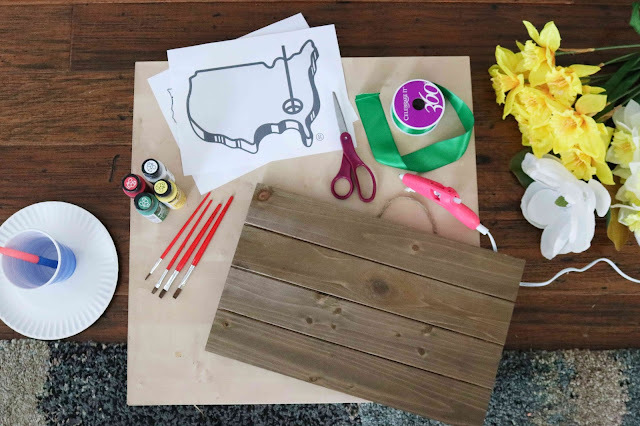 You are so crafty! OK... that is adorable! 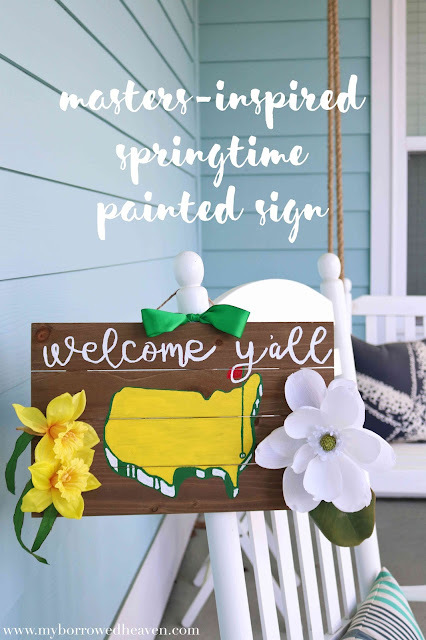 & perfect for your home! 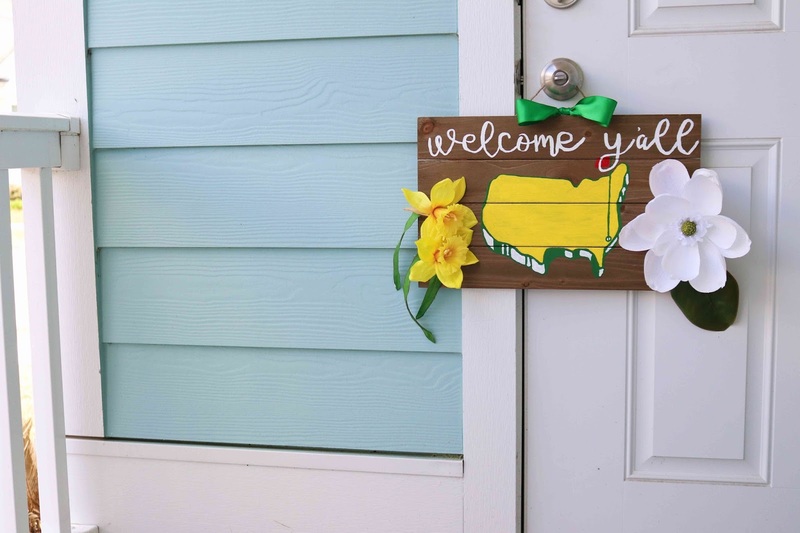 You need an Etsy shop- that sign is super cute! 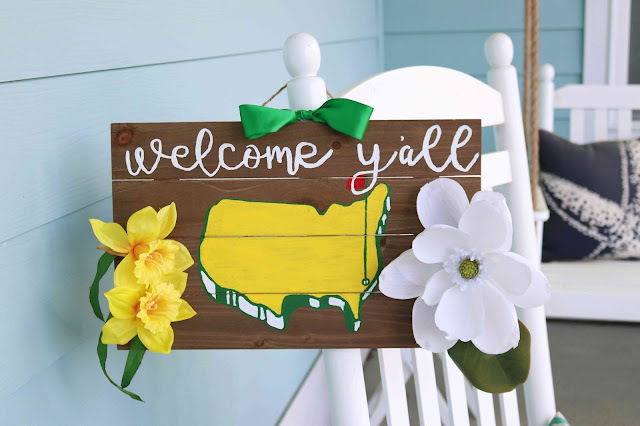 My friend's hubby is a caddy for a pro golfer and would love this! This sign is so fun!!! it turned out wonderful.